We are really excited about our newly designed Christmas Cakes for 2017 and all our new and wonderful Christmas cake decorations which are now available from our Cake Decorating Shop in Knowle, Solihull, West Midlands. From Christmas Round Cake Drums/boards, Christmas Square Cake cards, Christmas cake frills, Christmas Snowflake cutters, Holly Cake Decorating Cutters to Christmas Cupcake Cases, Santa/father Christmas cake toppers, Christmas sugar cake decorations, Christmas cake decorating toppers to Christmas Cake Boxes, we are sure you will find everything you need to create your very own festive Christmas Cake and great friendly advice from our Cake Decorating Supplies Shop, Solihull. 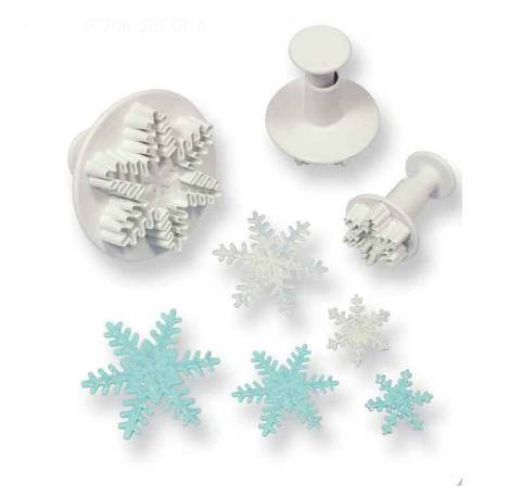 Our snowflake cutters are fantastic for creating beautiful and simple sugar snowflakes perfect for adding to a themed Christmas cake design or on festive birthday cakes. You can also make amazing snow themed wedding cake designs for creating a stunning winter elegant wedding cake. To prepare the snowflakes roll out white florist or modelling paste finely. Place the cuttewr on to the paste and press down the plunger to create the embossing. Press on the cutter to cut out the shape. Press the plunger once more to eject the shapes. Attach the snowflakes to the cake to decorate. Add sum edible white glitter to create beautiful festive Christmas cake decoration toppers. The rose represents love, elegance and beauty, making sugar roses the perfect choice of decoration for wedding cakes, birthday cakes and special occasion cakes. If you’re just starting out with cake decorating then learning how to make your own sugar roses is a great place to start. Making sugar roses is surprisingly easy and gives you that extra bit of flexibility to create your own custom rose size, colour and design that complements your cake perfectly. We have a fantastic range of readymade sugar roses available at our Sugarbliss Cake Decorating Shop, Solihull, West Midlands but if you would like to learn a new skill and make your own then read on for our two handy step-by-step methods that have been put together to meet the needs of beginners as well as more experienced sugarcrafters. The FMM Easiest Rose Cutter is the perfect way to create beautiful and realistic sugar roses, no matter what your skill level. Create your paste by mixing equal quantities of the sugar paste and Cake Star modelling paste together, or simply using sugar flower paste. Knead well and colour using your choice of Colour Splash gel. Roll the paste out very thinly and cut out with the Easiest Rose Ever cutter. Thin out the petal edges using the rolling pin on the foam pad. Brush a line of glue along the length of the paste just above the centre. Fold in half lengthwise and brush another line of glue along the bottom edge. Roll up to form a small rose, tweaking the petal edges to create a realistic look. Repeat this process if you want a larger rose until you have the size required, shaping the petals as you go. You can also brush some deeper pink dusting powder into the centre and onto the petal edges to bring your rose to life! If you’re a more confident sugarcrafter then why not try making a sugar rose from scratch? Make a hook on the end of a 22g wire and glue this into a small cone of paste. Allow to dry before starting the rose. Top Tip: if you are making a large rose, use a polystyrene bud instead of using paste for the centre cone – the rose will be much lighter to handle! Roll out the paste very thinly – you can use the Jem Petal Base or white fat rubbed lightly on the board to prevent the paste from sticking. Use one of the five-petal cutters from the set, ensuring the petals are large enough to cover the cone, and cut out the first shape. Thin the edges of all the petals using the bone tool. Brush glue over base of petals and place the first one over the cone, and petal three opposite. These form the centre of the rose. Take petals two, four and five and overlap them around the bud. Cut out five more petal shapes, working on one whilst keeping the spare ones under the Stay Fresh mat to prevent them from drying out. Thin out the edges, add glue and push the centre onto the wire. Push up and stick to the underside of the cone. Stick petals around the outside of the rose, overlapping each petal in turn, tweaking the petals for a realistic look. Repeat with more five petal shapes until you have created the size of rose you want. You may need to increase the size of the cutter you use for the outer petals if a very large rose is required. Allow to dry. Enhance the finished look of the rose by dusting some Colour Splash dust in the centre and around the petal edges. Tape the stem for a more realistic finish. We have lots of new cake decorating tools and products available form our Cake Decorating shop in Solihull, West Midlands. One of our favourite and best selling cake decorating products is the range of Rainbow Edible Jewels. 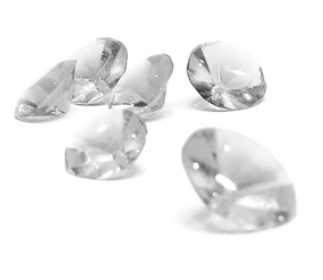 Rainbow Dust Emerald Jewels are soft translucent edible jelly jewels for cake decorating. Ideal for using on wedding cakes, birthday cakes, cupcakes and celebration cakes. For best results, chill before use. Carefully remove from packaging using Dresden tool to avoid damaging. If tarnished, brush with vegetable oil to remove blemishes and simply add to your wedding cake design or special celebration cake to create an amazing jewel or gem effect. These fantastic edible cake decorations are available in different colours and shapes. From clear diamond jewels, pink, ruby, emerald to to pink pearls and red hearts, we are sure these edible cake decorations will really add a touch of sparkle to your special celebration cakes or cupcakes. Ingredients: Humectant: Glycerine (E422), Sorbitol (E420)*, Gelatine (Pork); Acidity Regulator: Citric Acid (E330); Sweetener: Sucralose (E955); Preservative: Sodium Benzoate (E211); Flavouring; Colour: E133, E151. E161b & E171. Storage: Store at ambient temperature. Do not expose to heat or direct sunlight. Our range of stunning Paste Food Colours are suitable for painting and colouring sugarpaste, marzipan, flower paste, pastillage, buttercream and pastry or any food that you would like to brighten for a special occasion. All our paste colours are glycerine-free and therefore suitable for run-outs and sugar flower work, where complete drying is essential. Our professional paste colours will not alter the consistency of the sugar paste icing as a liquid food colour can. 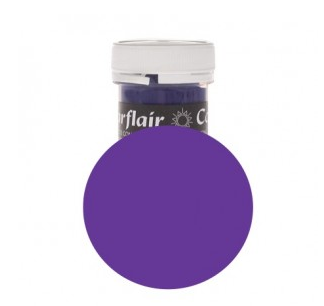 They are fully mixable, so you can mix different colours to achieve your exact shade of colour. Whether you are creating a vibrant rainbow wedding cake, red velvet cupcakes or a vibrant birthday cake, we’ve got everything you need to add a wonderful explosion of colour into your wedding cakes, birthday cakes or cupcakes. 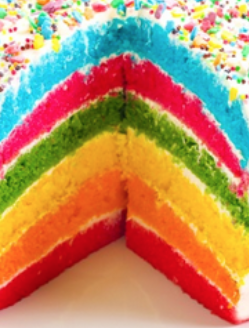 Rainbow cakes are a great way to use lots of bright food colouring paste gels and are always a huge talking point when your cake is cut in to slices! When making bright layers of sponge our Colour gels are very highly concentrated and bring out a very strong clear colour when added to your cake mix. All our range of food colouring pastes and gels are available to order from our cake decorating shop, knowle, Solihull. Our Baby Blocks Christening Cake is always a pleasure to create. 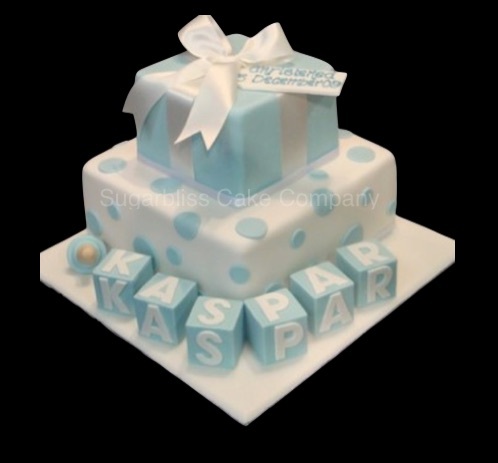 This christening cake is a perfect cake design to suite and celebrate the Christening of a Boy or girl. We have an extensive range of cake flavours to to choose from, all freshly baked to order in our Sugarbliss ‘Cakery’. From our most popular cake flavours such as, vanilla and strawberry, chocolate and lemon to our delicious eggless cake recipe! Available to order from our Sugarbliss Cake Decorating Shop, Knowle, Solihull. Loving Everything To Do with Cakes! We are delighted to add our new 4″ and 5″ round or square silver cake drum boards to our extensive quality ranch of silver cake drum boards. 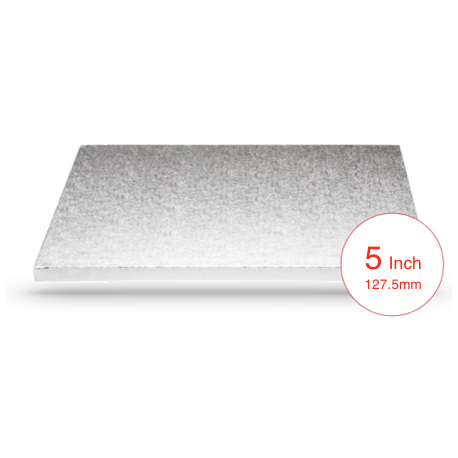 These 4″ and 5″ Round and Square cake drum boards are ideal for use with all types of cake and strong enough to support any cake from fruit to sponge. These cake drum boards are perfect for creating multi tiered wedding cake or to use to present your celebration cakes or treats. Ideal for mini wedding cakes and celebration cakes. 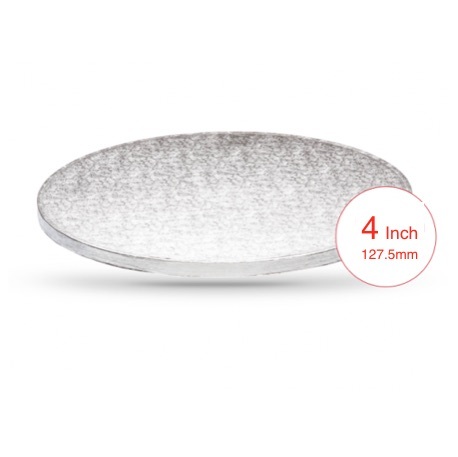 Our 12mm thick, 4″ and 5 ” inch Round or square Silver Cake Drum Board is ideal for presenting your cakes upon. Strong enough to support any type of cake, from a heavy fruit cake to a lighter sponge cake. Available from our Cake Decorating Shop or from our Cake decorating online shop. Loving Everything To Do With Cake Decorating! We have created so many differently themed Dr Who Cakes over the years from Aliens to Planets but our favourite design by far, is the iconic Tardis. 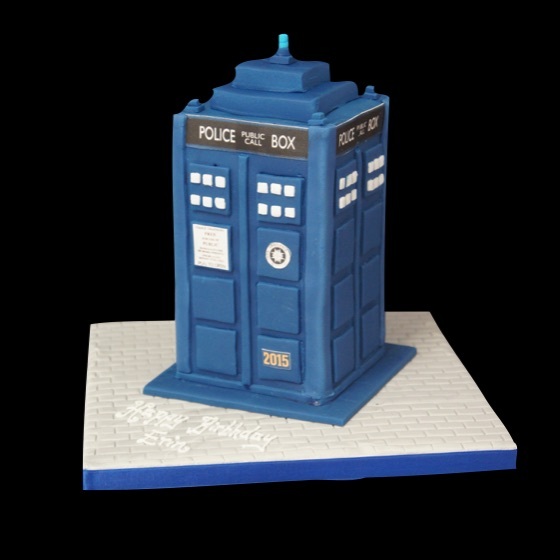 Our Doctor Who Tardis cake was created from our delicious chocolate sponge cake. The cake was then filled with our banana buttercream one of our new buttercream flavours to be recently added to our large range of mouthwatering cake fillings. We are sure our Doctor Who Tardis cake will be a fun and admired talking point this weekend at the Doctor Who Convent in Devon. Loving Everything To Do With Celebration Cakes! 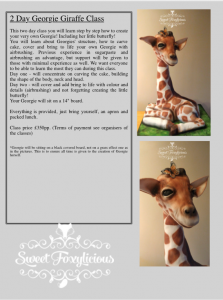 Georgie Giraffe Cake Class- We are really excited Zoe will be teaching at Sugarbliss Cake Company her renowned 2 day Georgie Giraffe Cake Class. The two day class is on 26th and 27th September 2015, Solihull, Birmingham, West Midlands. If you would like to book onto this fabulous and inspiring cake course, please call us on 01564 774 223 to book your place. The two day course costs £350 and everything is provided, just bring yourself, an apron and packed lunch. 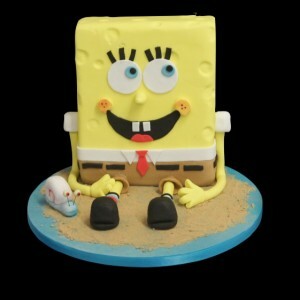 Our Sponge Bob birthday cake looked absolutely fantastic and was really fun to create. Our popular frozen cake was flavoured with our chocolate and Oreo’s recipe and our rugby pitch cake was create from our delicious lemon cake flavour. Mouthwatering! It is always fun to design different types of birthday and celebration cakes. Some of our favourite cakes to create are our chocolate bar cakes. Not only do these cakes look great, the chocolate sponge and caramel buttercream filling makes them delicious too! 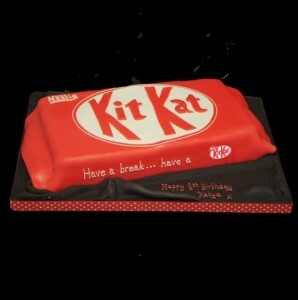 Our kit kat chocolate celebration birthday cake is always popular and a talking point at any special celebration event. Our new alphabet brick mould is perfect for creating different sized coloured bricks for making fabulous Lego Star Wars birthday cakes and Lego Cakes. Dust the mould with cornflower and press modelling paste into the mould and trim off any excess paste with a sharp knife. with a little easing drop the items out of the mould. 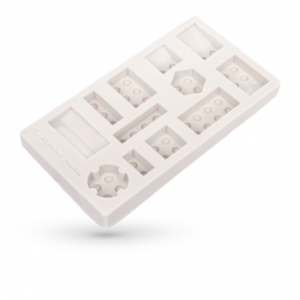 This alphabet brick mould can also be used with marizpan, isomalt and clay.